Kids Bowl Free is a nationwide program that provides FREE games of bowling for kids all summer long. There are more than 20 bowling alley's in Northeast Ohio offering free bowling. Note that free bowling dates and times vary by bowling alley. Shoe rental charges may apply. Some bowling centers offer a summer shoe rental pass – check local bowling center for details. You could also purchase your own Bowling Shoes to use each year. 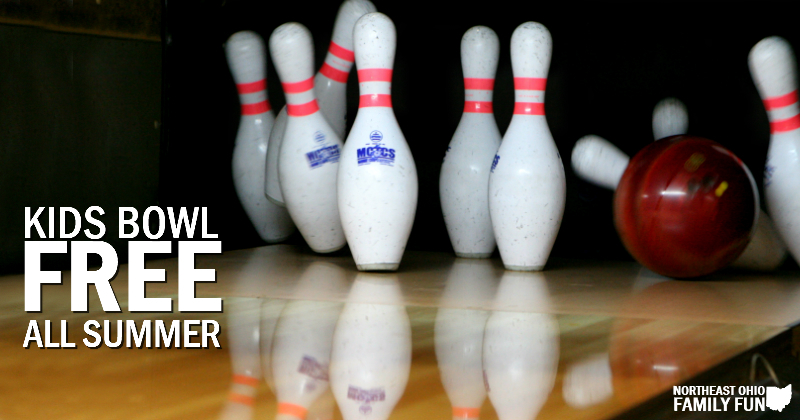 Step 1 – Find a participating bowling alley near you. Optional – You can also purchase a family pass which allows you to bowl with your kids. Note: Shoe rental charges may apply. Some bowling centers offer a summer shoe rental pass – check local bowling center for details. You could also purchase your own Bowling Shoes to use each year. Check out the list of participating Ohio Bowling Alleys to find a location near you. Purchase your Summer Games season pass now and bowl 3 games every day at your preferred center (shoe rental included! ), all for one low price! Passes are valid from May 20 to September 2, 2019 – that’s more than 100 days of bowling! You can purchase a Summer Games Season Pass. Upgrade to a Summer Games Passport and bowl at ALL participating locations nationwide! I registered my child . I also paid the $29. plus fee for the four adults. I have never received conformation. But the money came out of my bank. What do I take to the bowling Alley to show I paid? When I click the login link it takes me to kids skate free instead of bowl, is it the same thing? Sorry about that, I updated the link to be correct now. There is a Kids Skate FREE as well, but it isn’t the same link as the Kids Bowl FREE. The age requirements are listed under each bowling alley. If you select the one you are interested in registering for, you should find the age requirements. Most I saw were 15 and under.